Back in the 80’s, when I was the Executive Director of the Scientology Mission in Peoria, I wrote HIGH CRIME REPORTS on David Miscavige and every top Executive in Scientology and FEDEXED each of them their own copies. I’d discovered that David Miscavige raised the prices for Scientology services 4 times higher than L. Ron Hubbard said they should be. It’s forbidden to go against LRH policy in Scientology – a HIGH CRIME. And since no one could afford the price of auditing in Peoria to go “Clear” I thought it was my duty to ‘criticize’ David Miscavige and the rest of Church leadership. What happened to me in the Church after that is a story I will tell later in a blockbuster entitled “Naive Goober: My Story From the Bottom of Scientology”. L Ron Hubbard taught Scientologists that criticism was an attempt to destroy you. Like so much else, L Ron Hubbard was wrong about criticism. Criticism is the recognition of a standard, expectation or ideal. When a person or activity isn’t living up to this, one should point it out so the person or activity can get back on track. During all 3 seasons of Leah Remini’s Scientology and the Aftermath, Leah Remini and Mike Rinder have sought to make anyone who criticizes them out to be a Scientologist. Because who could possibly criticize the holy work that they are doing but a Scientologist? 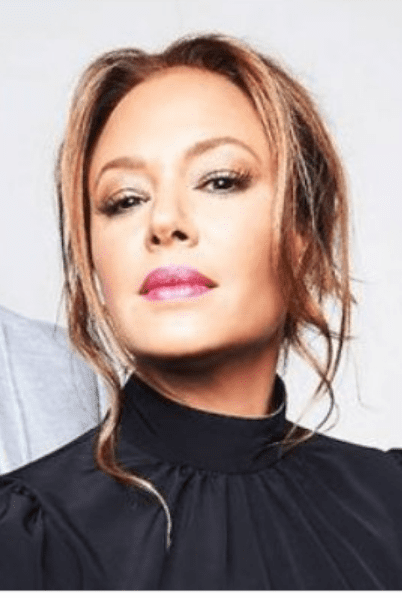 When Leah Remini lies about Scientologists believing in pedophilia to the Hollywood Reporter – should that be criticized? When Mike Rinder lies about Shelly Miscavige being “missing”, when he was there when David Miscavige and Shelly separated and has known exactly where Shelly is all while telling people she was missing – should that cynical manipulation be criticized? If a person criticizes these anti-Scientologists for lying like this, does that mean the critic must be a Scientologist? Do you have to be a Democrat to criticize Donald Trump? That’s two-poled thinking, the logic of fanatic tribalism. And yet so many people believe no anti-Scientologist should ever be criticized, and those who do criticize them should be attacked, and even fair-gamed. This is the very same tribalism that Scientology runs on. If it’s wrong when Scientology does it, why is it right when anti-Scientologists do it? Anti-Scientology NEEDS to be criticized: The Church of Scientology has not been charged with even one crime in the US since 1979, and David Miscavige is still in power doing whatever he wants to Scientologists. I’ve watched this impotence and ineffectual hysteria for 20 years. 3 Responses to Does Anti-Scientology Deserve Any Criticism? On the contrary, scientolgy HAS been charged with crimes — MANY , which I’m too too tired to list right now. Each witness on “Aftermath” gives examples of two or three. Pretty much every day, the critics’ web-sites (the bunker & Mike Rinder’s in particular, give us other crimes committed, present or past. The ONE web site which seems not interested in scientology’s crimes, is this one. I’ve seaced, but found screes only the “crimes” of any who would question scientology’s activities and subterfuge. I clicked on “Alanzo’s criticism of scientology”, but was presented with a menu of only criticisms of scientology’s critics, incuding this one. Sorry, the link to the collection of Alanzo’s Scientology Criticism was broken. It’s fixed now. Please list a single crime that has formally incited the Church of Scientology, as a total entity, being responsible for the administration, facilitation, or cover up of the crime. And not “Leah saidddddd!! !” but like… an ACTUAL criminal charge. Because people can say lots of things. For example: I say that Jere Lull (38 years recovering) killed my dog and fed him to a crocodile.